Chick-fil-A has already established itself as a fast-food favorite for many on-the-go—Buzzfeed reported earlier this year that the Atlanta-based chain is “on track to become the third-largest in the next two years,” citing restaurant research firm Technomic. 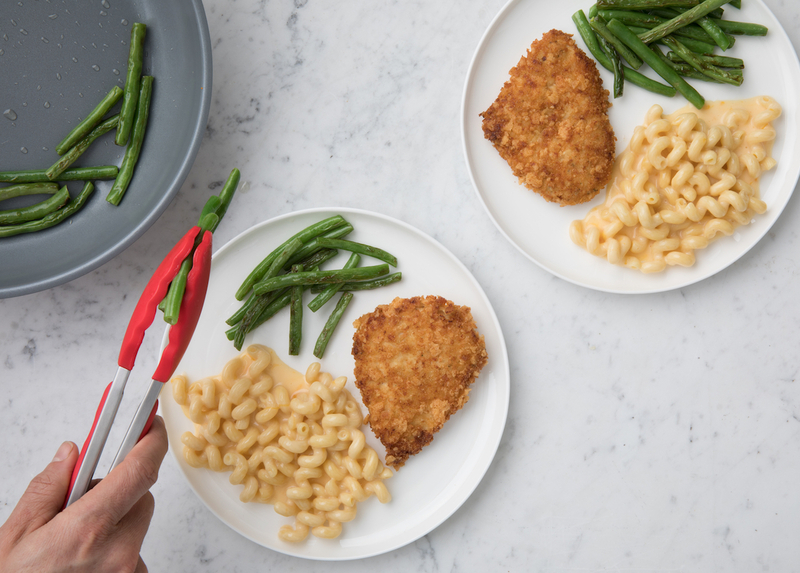 Now, it hopes to be the first fast-food restaurant to compete with popular meal kit services such as Blue Apron and Hello Fresh. 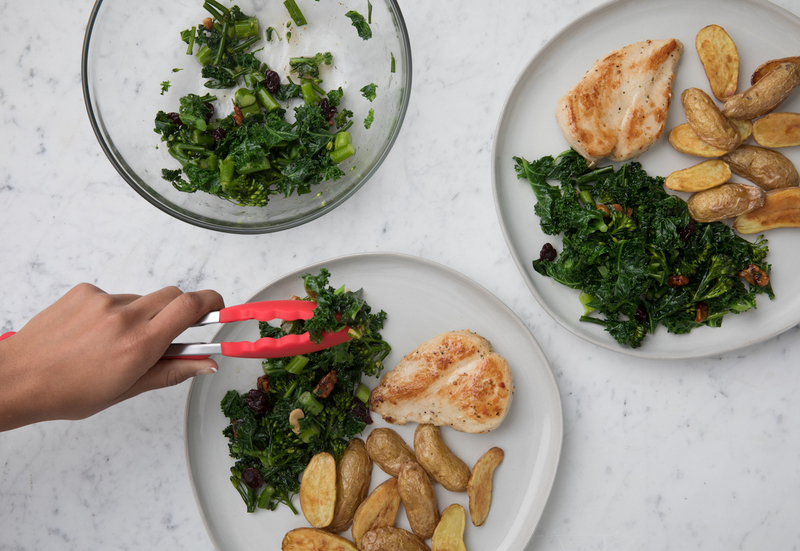 The five pilot Chick-fil-A meal kits—chicken enchilada, chicken Parmesan, pan-roasted chicken, Dijon chicken, and and chicken flatbread—are, however, all packed with raw, marinated Chick-fil-A fillets meant to be pan-fried, sauteed, or baked alongside familiar ingredients from the restaurant (broccolini from the superfood side, creamy salsa dressing) and some you wouldn’t find there (pasta, macaroni and cheese, refried beans). 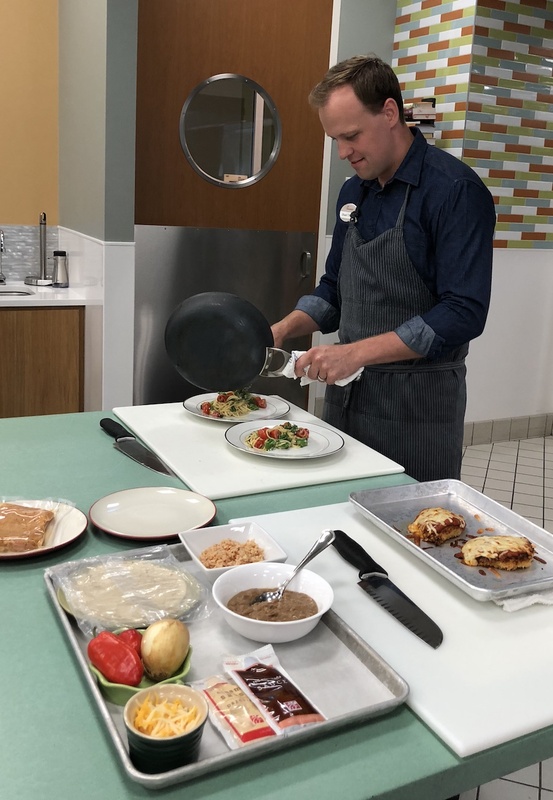 All of the meal kits were created by chef Stuart Tracy, formerly of Parish in Old Fourth Ward, and all are designed to be created in 30 minutes. Pasta noodles, for example, are precooked to save boiling time. Raw vegetables and chicken need to be sliced, but there’s no need for fancy techniques or tools. Even the compostable containers that house the kits’ ingredients can be used as a breading station for the panko-crusted Dijon chicken. The only ingredients the customer needs to provide from their own kitchen are cooking oil and water. 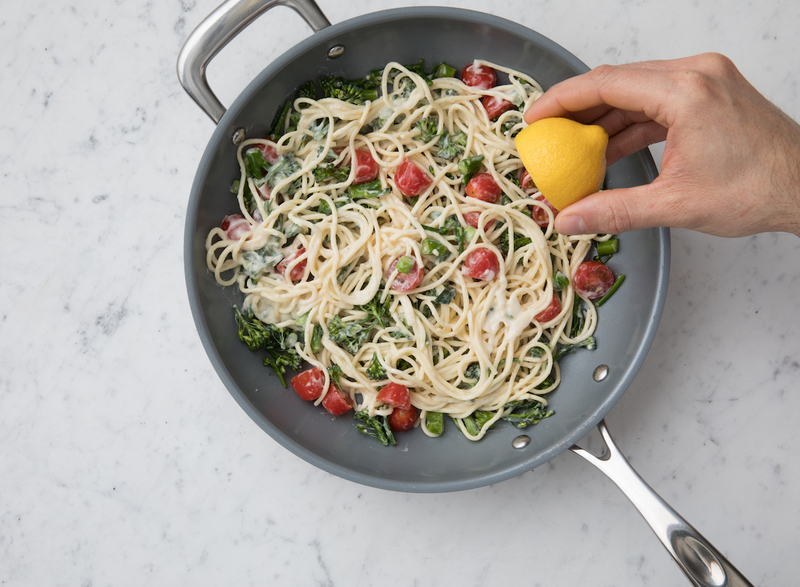 Each two-serving kit retails for $15.89—about $7.95 per person, which Patrick says is less expensive than the average $10-per-person cost of most meal kits. There’s also no subscription required; meal kits can be purchased at the counter, in the drive-thru, or via the restaurant’s app. 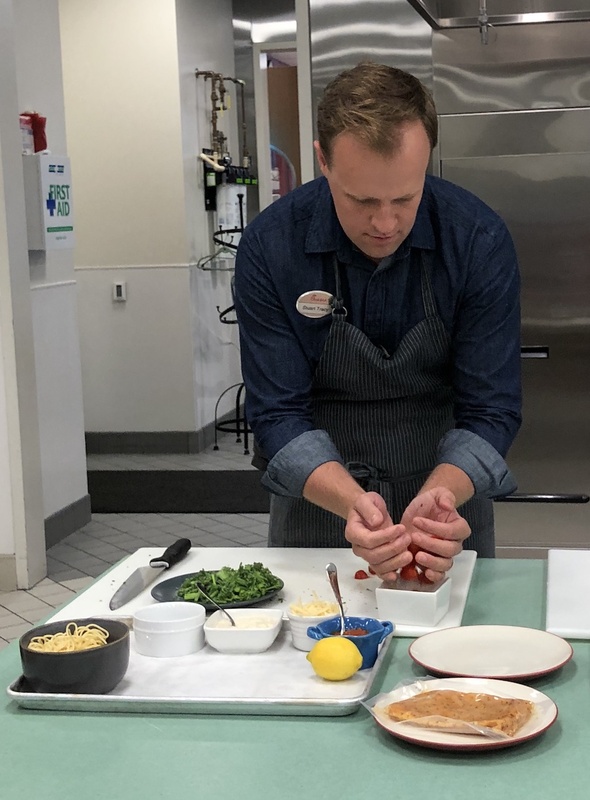 Chef Stuart Tracy slices tomatoes while making the chicken Parmesan meal kit during a demonstration on July 18. 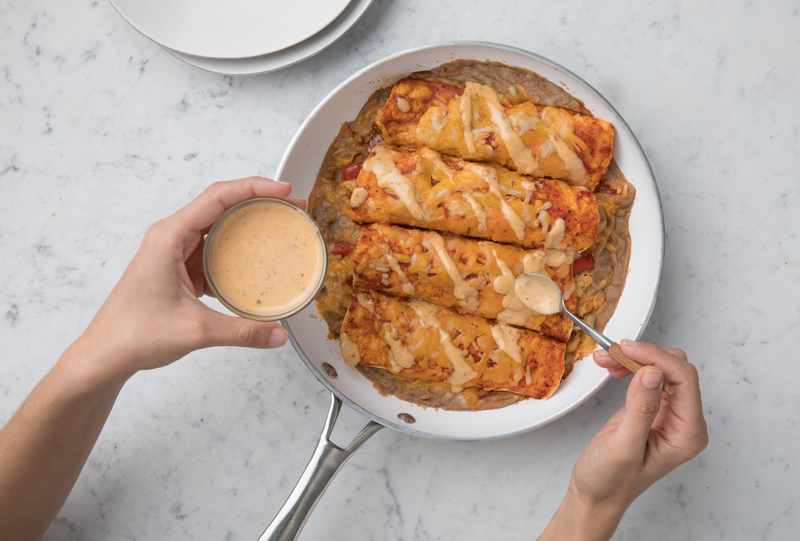 From the late August launch through September, customers at one of the 150 metro Atlanta locations participating in the test will be able to purchase the chicken Parmesan or chicken enchilada kits. 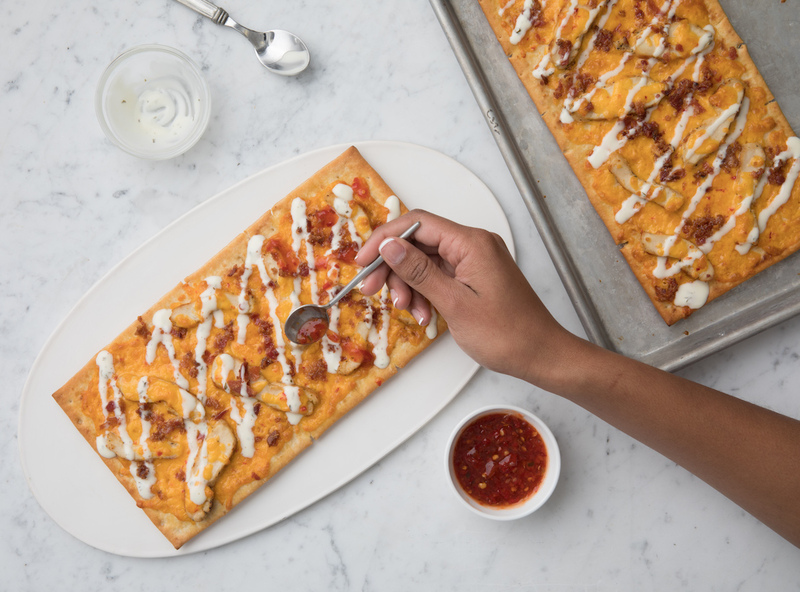 In October, they can purchase the pan-roasted chicken or chicken flatbread kits, and in November, they can try the Dijon chicken kit, along with the most popular kit among the first four offered. The test runs through November 17. “Atlanta will help us figure out which [kits] we should really invest in long-term as we think about national rollout,” Patrick says. 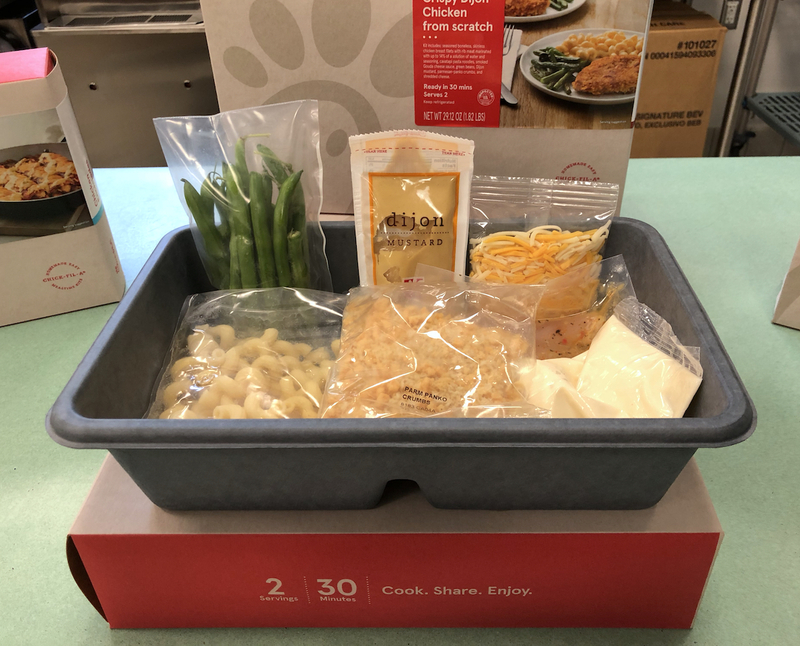 Are Chick-fil-A’s new meal kits any good? An experienced cook and an inexperienced one tried them out.